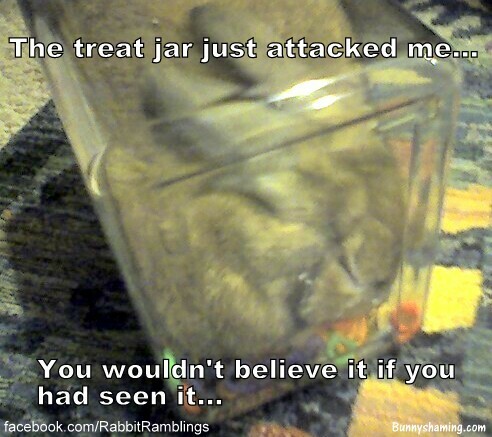 Mommy was fetching a treat for Bunya but he got impatient and jumped into the treat jar. He looks condensed but while mommy was in a panic, Bunya was in heaven and enjoyed munching treats until we made him come out. Treat jars are much smaller now. And Bunya is much bigger. Share the shame on Facebook!